Basics: 40 channel AM/SSB CB radio, new smaller chassis, Starlite illuminated face plate, adjustable dimmer control, front panel mic jack, variable power output control, large meter with four functions - (signal strength, power output, modulation, SWR). Adjustable talkback circuit, automatic SWR circuit, high SWR alert, frequency counter input jack on back panel. Dimensions:W 7.25" X H 2.25"
Check the box to the left of the item or items you want to purchase, then click the add to cart button. If you would like more info on the modification or accessory before purchasing just click on the link below (The blue text). The performance tune up is a must in order to perform. Please read the information relating to the factory talk back and the replacement option, the relay talk back circuit. Note: The purchase of services and other accessories is not mandatory. Internal modifications of any type void type acceptance granted by the FCC. 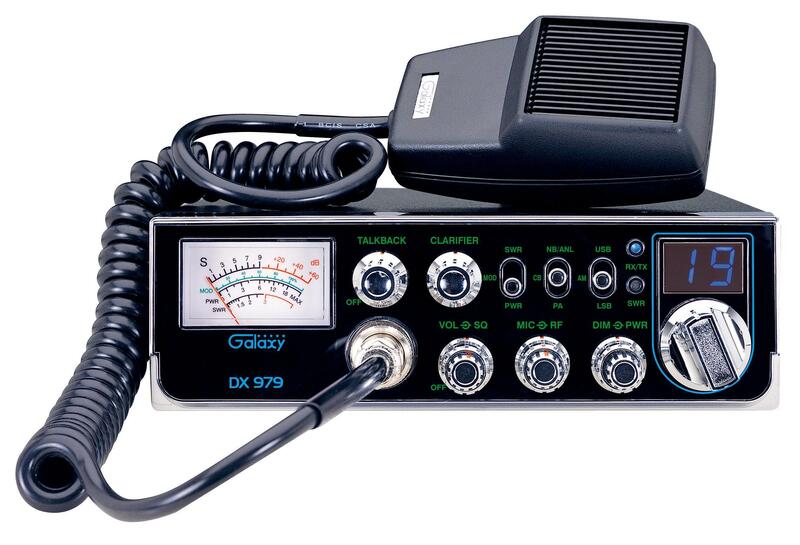 If you intend to operate a modified transceiver within the Continental United States you may be in violation of Part 95 of the FCC rules and regulations. We recommend reading and familiarizing yourself with part 95 of the FCC rules and regulations before operating a transceiver.